A resident of Greenwich, Clare Boothe Luce won election to the United States Congress in 1942 as a representative from Connecticut. Her entrance into politics was not her first foray into the public eye, however. By the time of her election, she was already an established author, editor, and playwright. Recognized for her efforts to reshape perceptions of women in the realms of politics and society, Luce later became the United States Ambassador to Italy—the first woman to hold such an appointment to a major European country. 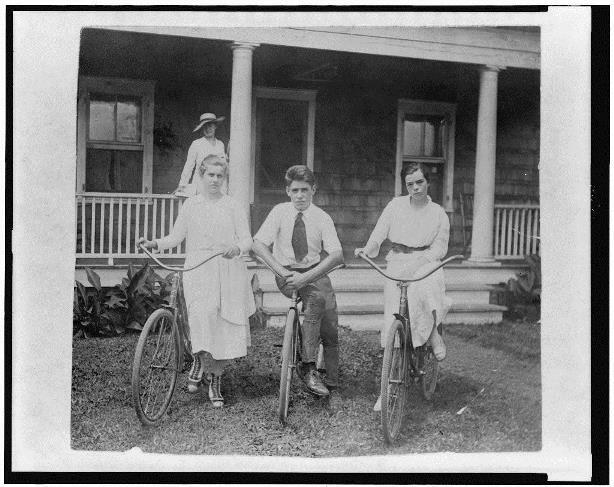 Clare Boothe, born in New York City in 1903, was the daughter of Anna Clara Snyder and William Franklin Boothe, a concert violinist who abandoned his family when Clare was only eight. Despite the family’s challenges, Boothe’s mother ensured that both she and her elder brother, David, received a proper education. In 1923, Boothe married millionaire clothing heir George Brokaw, who was 23 years her senior. After six turbulent years of marriage and the birth of a daughter, the couple divorced in 1929. Following the divorce, Boothe pursued a career in writing, penning articles for Vogue and later, Vanity Fair (the latter of which she became the managing editor of in 1934). In the autumn of 1935, Clare married Henry Luce, the founder and publisher of Time, Life, Sports Illustrated, and Fortune magazines. It was also during this period that she came into her own as a successful playwright. Although her earlier dramatic efforts did not meet with success, the production of her play The Women in 1936 was a Broadway hit, ran for over 657 performances, and became a feature film in 1939. Luce’s talents reached beyond the realm of theater and popular culture, however. At the outset of World War II, she drew upon her earlier journalistic experience to provide Life readers with in-depth first-hand accounts of her travels across the different theaters of war. Her wartime writings presented a marked criticism of President Franklin D. Roosevelt’s handling of the war effort. Furthermore, she caught the eye of influential political figures when she enthusiastically endorsed Republican nominee Wendell Wilkie in his failed 1940 presidential campaign. With support from leading Connecticut Republicans, Luce announced her congressional candidacy (to represent Fairfield County, the 4th Congressional District) in 1942. Easily winning the seat, she became the first woman to represent Connecticut in the US House of Representatives. After two terms in office, a grieving Luce chose not to seek re-election, following the death of her only child in a motor vehicle accident. She reemerged in the world of politics in time to lend her support to Republican candidate Dwight D. Eisenhower in the 1952 presidential election, however. In recognition of her contribution to his campaign, Eisenhower appointed her United States Ambassador to Italy, a post she held until 1957. “Clare Boothe Luce.” Connecticut Women’s Hall of Fame, 2014. Link. “Clare Boothe Luce - Women Come to the Front | Exhibitions.” Library of Congress, 2014. Link. “Finding Aid to the Clare Boothe Luce Papers, 1862-1988.” Library of Congress, Manuscript Division, 2014. Link. National Archives and Records Administration. Longines Chronoscope with Mrs. Clare Boothe Luce, 1952. Link. Shadegg, Stephen C. Clare Boothe Luce: A Biography. New York, NY: Simon and Schuster, 1970. Morris, Sylvia Jukes. 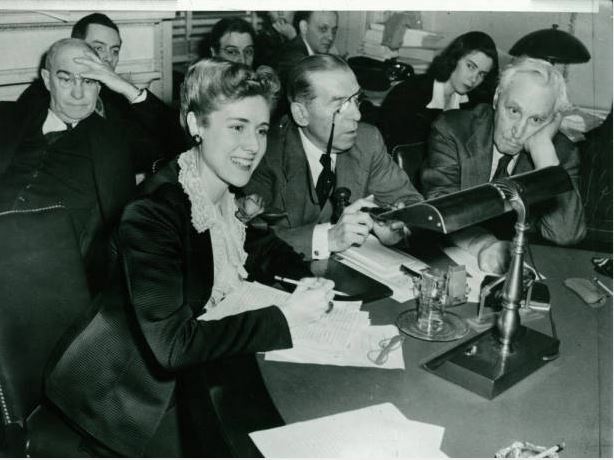 Rage for Fame: The Ascent of Clare Boothe Luce. New York, NY: Random House, 1997. Luce, Clare Boothe. The Women: A Play. New York, NY: Random House, 1937.